Professor Neil Thomson was the founding Director of the Australian Indigenous HealthInfoNet. Neil’s long-term involvement in Aboriginal and Torres Strait Islander health was based on tertiary training in medicine, mathematics, anthropology and public health. Neil worked for five years in clinical medical practice including positions in the Kimberley Region of Western Australia and with the Royal Flying Doctors Service. He had more than 25 years’ experience in health, where his special interests were in the transfer/translation of research and other information to inform policy-making, planning and service delivery. He also worked with IBM in Canada early in his career enjoying the work but also describing it as a period of reflection on what he wanted to do with his life. Ultimately his desire to do something to help people and make a difference led him to study Medicine. Early in his career he worked as a flying doctor in northern Western Australia, and witnessed first-hand the terrible disparities in health outcomes in Australia. This in turn motivated him to work more specifically in public health and in Aboriginal and Torres Strait Islander health. Neil’s formal qualifications included a Bachelor of Science (Mathematics); Bachelor of Medicine, Bachelor of Surgery; Bachelor of Arts (Anthropology); Master of Public Health; Fellow of the Australasian Faculty of Public Health Medicine; Doctor of Medicine. The outstanding success of the Research Fellowship Neil undertook at the Australian Institute of Aboriginal Studies (AIAS) in Canberra in the early 1980’s resulted in Neil’s role being transferred in 1985 to the newly-established Australian Institute of Health (now the AIHW) as Head of its Aboriginal Health Unit, a position he held until 1993. Reflecting Neil’s overall knowledge of Aboriginal and Torres Strait Islander health, he was the epidemiology consultant in 1989-1991 to the Royal Commission into Aboriginal Deaths in Custody. As a part of this work, he produced a national overview of Aboriginal and Torres Strait Islander health and jurisdictional summaries for NSW, Queensland, WA, SA and the NT. He also wrote the Commission’s health-related sections. Neil worked with the WA Department of Health for a brief period from 1993, including a period as Director of Epidemiology. 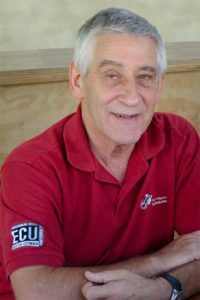 His substantial work in Aboriginal and Torres Strait Islander health resumed when he joined Edith Cowan University (ECU) in 1996, leading to the establishment in 1997 of the National Aboriginal and Torres Strait Islander Health Clearinghouse. Neil’s long-term commitment to Aboriginal and Torres Strait Islander public health, which has focused on the development and dissemination of information to inform policy and practice, is demonstrated today in the Australian Indigenous HealthInfoNet. In 1997, Neil established the Internet-based Australian Indigenous HealthInfoNet, as an innovative way of contributing to ‘closing the gap’ in health between Aboriginal and Torres Strait Islander and other Australians by developing and maintaining the evidence base to inform practice and policy in the area of Aboriginal and Torres Strait Islander health. The HealthInfoNet also supported the sharing of knowledge and experiences among people working in Aboriginal and Torres Strait Islander health with the creation of on line yarning places. The HealthInfoNet online health bibliography is still the largest of its kind in the country on Aboriginal and Torres Strait Islander health. The HealthInfoNet, described in 2000 by the Honourable Michael Wooldridge, then Australian Minister for Health, as ‘innovative even by world standards’, contributes to closing the gap in health between Aboriginal and Torres Strait Islander and other Australians by making research and other knowledge readily accessible via the Internet. Reflecting the fact that the extent of its translational research (TR) goes well beyond ‘clearinghouse’ functions, the Clearinghouse was re-named Australian Indigenous HealthInfoNet in 2000. The HealthInfoNet will celebrate its 19th anniversary in 2016. Winner of the ‘Diversity’ category at the 2011 Australia New Zealand Internet Awards. Winner of the Public Health Association of Australia’s inaugural Eberhard Wenzel Online Award. Winner in the prestigious ‘Outstanding achievement’ category in the Australian Charity Awards 2013. Winner of Edith Cowan University Vice Chancellors Excellence in Research engagement award and Vice Chancellors Excellence in Research Award. Recipient of the ECU Vice-Chancellor’s ‘Excellence in research’ award in 2012. Publication has been an integral part of Neil’s work in the dissemination of information and knowledge to inform Aboriginal and Torres Strait Islander health policy and practice. He has produced more than 160 publications, including 49 journal articles, 49 government and other technical reports, 40 book chapters, and eight books. Neil retired in early 2014 and the HealthInfoNet remains as his legacy as the primary web resource used by the workforce and those studying in Aboriginal and Torres Strait Islander health. Neil will be sadly missed by all who knew him and admired his outstanding lifetime achievements making a positive difference to Aboriginal and Torres Strait Islander health outcomes.